This technology has grown in leaps and bounds and in places such as the Seychelles wind powers entire or parts of the islands. 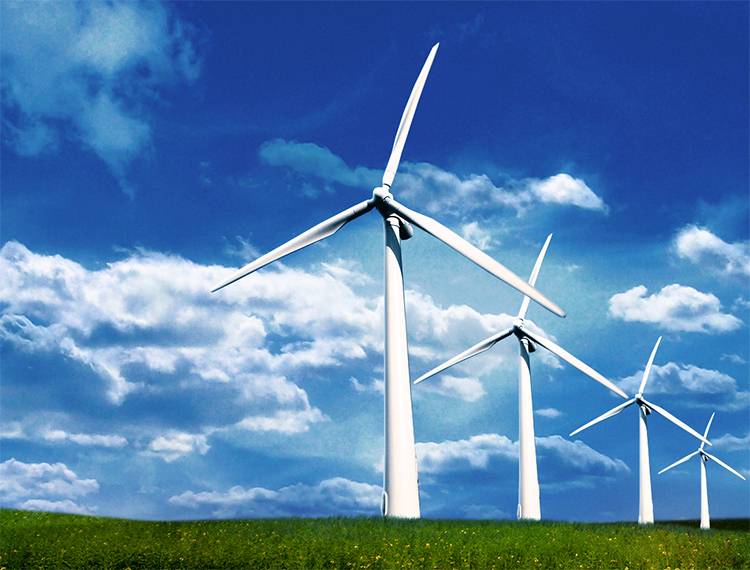 Wind turbines are more commonly used as assisted power and not main source power. Only in the event there is an area which is subject to wind every day will this technology be reliable. Wind power can be connected with a solar power installation or as a grid tie installation. This technology works as and when there is wind. The great thing about wind turbines is that wind can also drive the turbines at night and therefore the power yield will last much longer than a PV system would. Grid tie wind turbines work the same way as a PV grid tie system would in that the power generated is pushed into the internal grid after the meter. Your internal load then takes power from the Wind generated electricity as a priority and Eskom as a residual supply. Wind can charge batteries and pump water. There are many functions achievable with wind. You can let us know what you would like to achieve.